238 in 2015, 302 in 2016 and 431 companies supported in 2017. 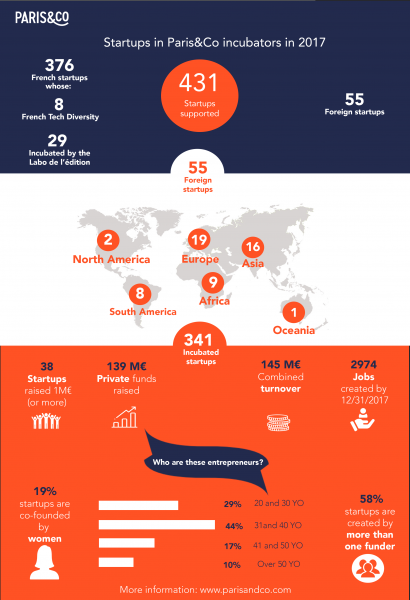 What is more pleasing for Paris & Co than to celebrate our twenty years of existence in the international incubation landscape by reaching the 1,097 startups supported? The 341 startups incubated last year have accumulated the records: € 145 million in cumulative revenue (74 in 2016), 2,974 full-time employees, or nearly 9 on average per company. Among them, 38 raised more than one million private funds, with a cumulated amount of 139 million €. This is the case of Shippeo, which raised 10 million euros to recruit 40 people, Shift Technology raised $ 28 million, Privateaser raised 3 million, Gymlib raised 3 million euros or still Pitchy who raised 4 million €. Some companies have been bought by actors like Le Bon Coin for Kudoz, Datadog for Logmatic, Spotify for Niland, or Fintech Pumpkin bought by Crédit Mutuel. 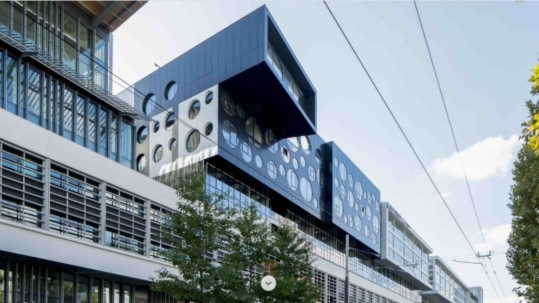 The alumni of Paris & Co continue their European or international career, as Actility raises € 70 million, GuestToGuest bought the American HomeExchange and raised € 33 million, Stootie raised more than € 9 million, Safety Line raised € 3 million. Moreover, two alumni of Paris & Co and a currently incubated startup are among the 10 biggest French fundraising in 2017. What international startups say about the PLP_Explore program ?